Ocean Pearl Earrings: They are made In U.S.A and are style #1528. Size 1.95 x 0.5″. These Ocean Pearl earrings are a treasure in themselves! Made from sustainably sourced wood and 90% recycled display cards. Laser-cut wood with an ocean image on the front with a natural wood back. Ear wires are silver-finished 304L stainless steel and are hypoallergenic. 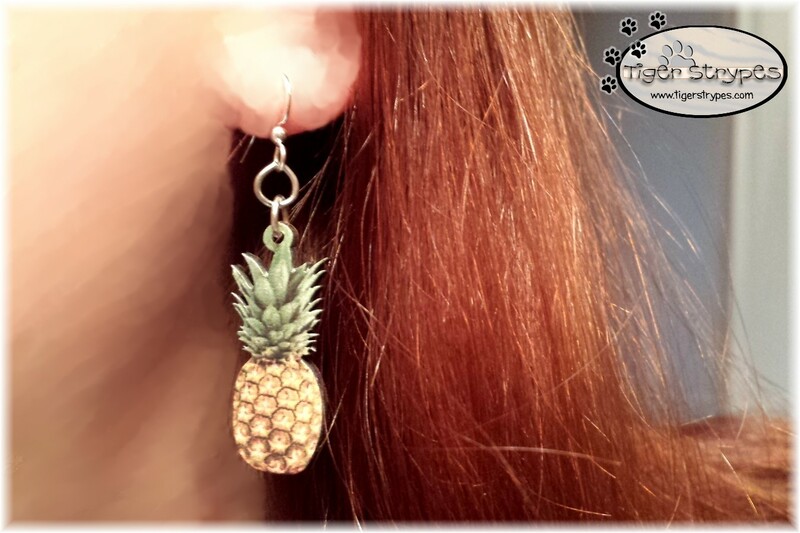 Pineapple Earrings: They are also made In U.S.A and are style #1523. 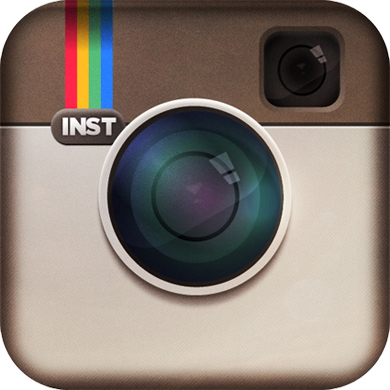 Size 1.4″ x 0.70″. 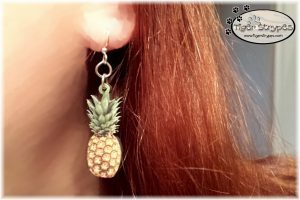 The Pineapple Earrings are picture perfect earrings that will make you want to cut them open and take a bite. Made from sustainably sourced wood and 90% recycled display cards. Laser-cut wood with image on front, and natural wood back. Ear wires are silver-finished 304L stainless steel and are hypoallergenic. 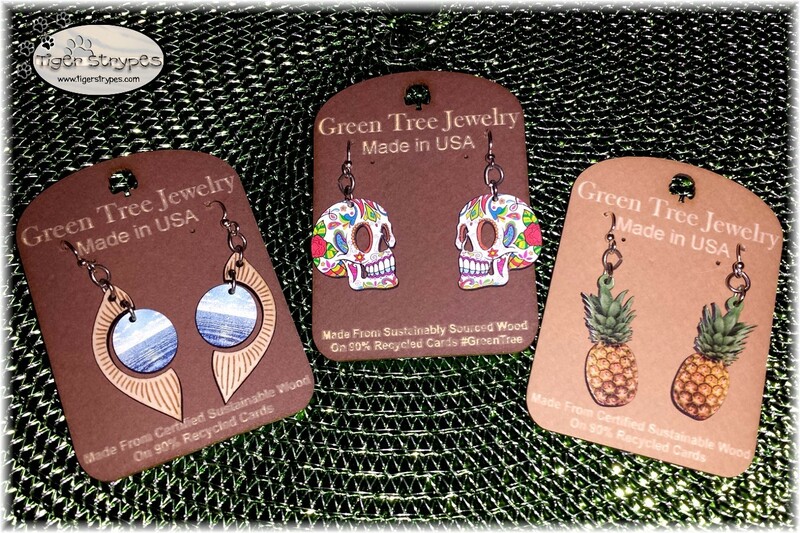 Profile Sugar Skull Earrings: Made In U.S.A like the rest (which I really love), these are style #1529. 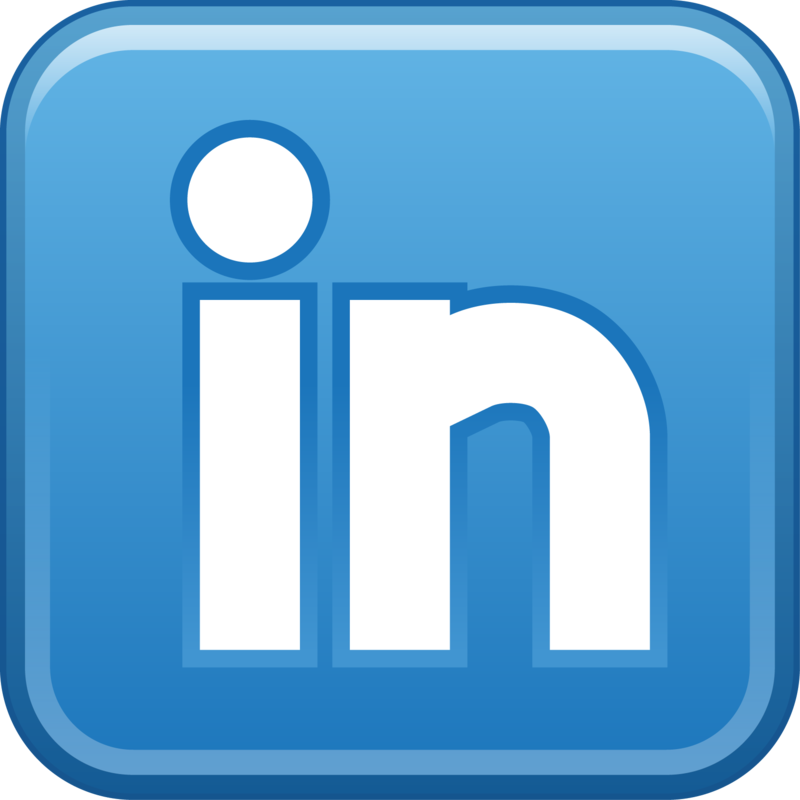 Size 1.0″ x 0.9″. 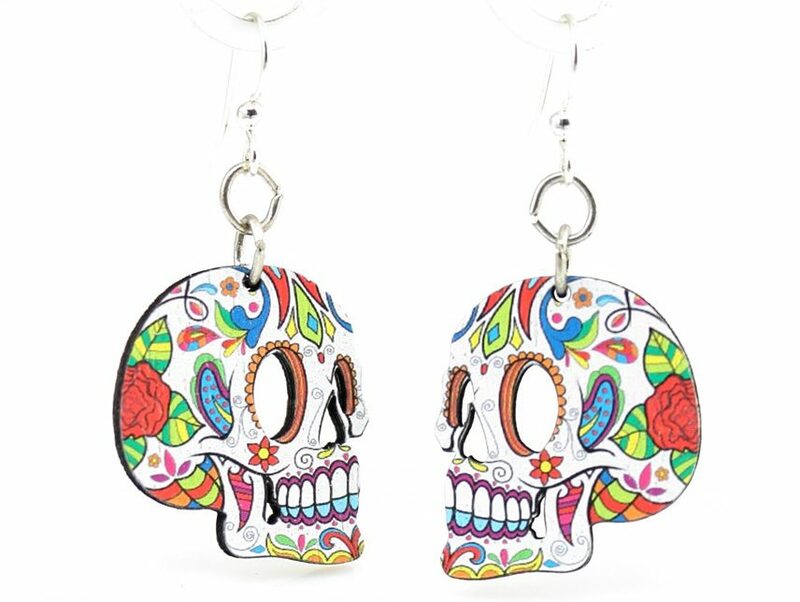 The Profile Sugar Skull Earrings are perfect to wear for Dia de los Muertos, and all year long! Made from sustainably sourced wood and 90% recycled display cards. Laser-cut wood with an image on front, and natural wood back. Ear wires are silver-finished 304L stainless steel and are hypoallergenic. 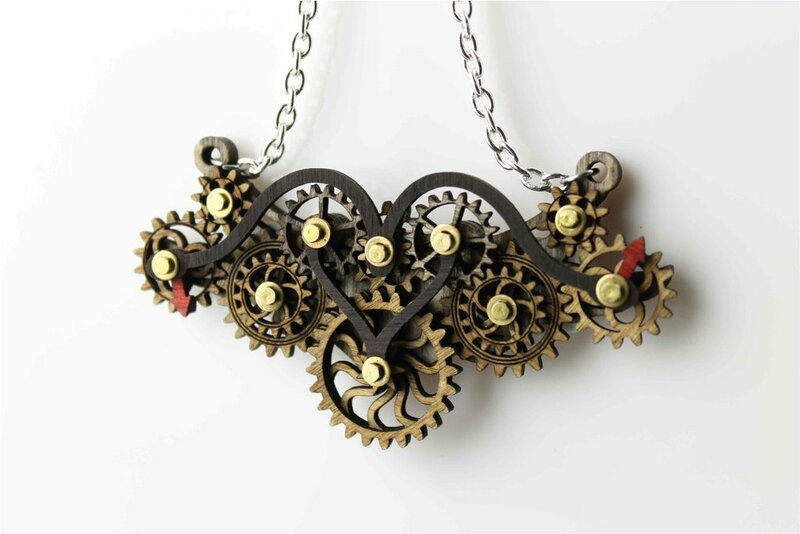 I love that the Green Tree Jewelry products are made out of wood, and not very heavy at all. I have problems with headaches, and some earrings are just too heavy for me. These have an amazing quality and don’t even feel like they are there. Plus, they are made from sustainable materials, so you can feel even better about supporting this company. Use Promo Code BLOG20 to receive 20% off of your order!! 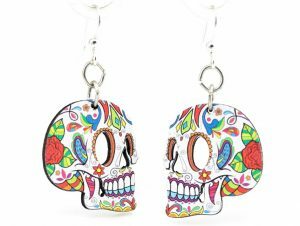 Those Profile Sugar Skull Earrings ROCK! I could see wearing those out on a date night with hubby, I know they would draw a lot of attention. I love that you don’t even feel these when they are on. 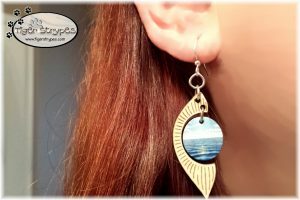 Having migraines, I usually can’t do earrings. Yes, I have heard about this company before. 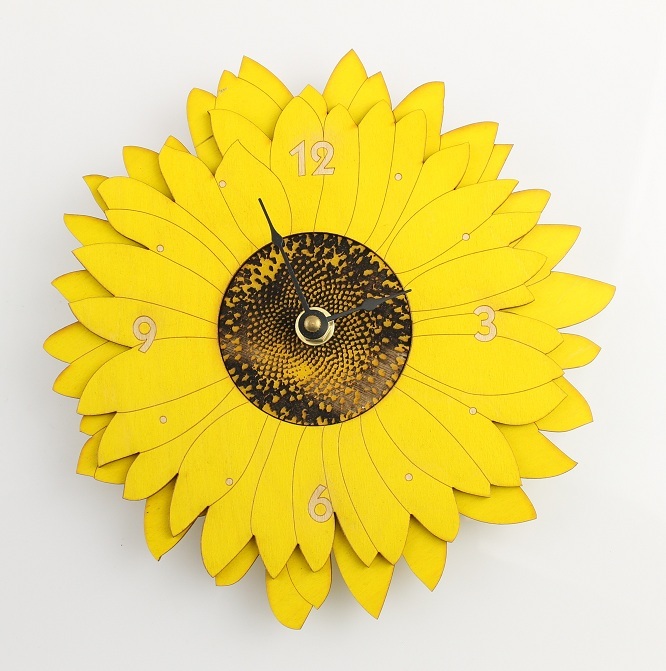 They have some really beautiful items! I love the Ocean earrings–and that bracelet down below is calling my name. I agree, Michele – their products are amazing! These are super cute. I like the pineapples! I like that they are made with sustainably sourced wood and recycled display cards, also that they are made here in the USA! My daughter would love the skull pair! I would even think about them for my granddaughters not only because they are hypoallergenic but also the lite weight factor. Also they learn from what they see.